Target Marketing Solutions is an experienced Google Shopping management company to correctly and effectively construct and manage your Google Shopping feed. These ads appear whenever Google believes there’s a shopping match and are more robust than the standard Google product listing text ads. 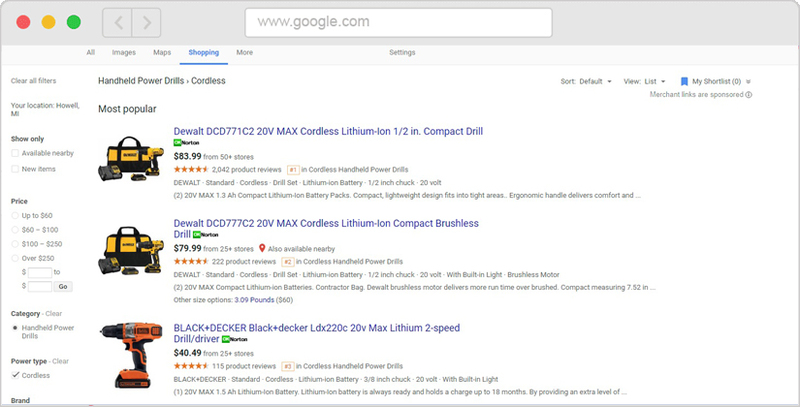 Google Shopping results are normally shown in a special shopping box integrated into regular results, which also shows a “Sponsored” disclaimer. Google Shopping is a dedicated shopping search engine from Google. You see it all of the time when doing searches on Google. It allows searchers to find products for sale from online merchants, with search results featuring product SKUs, information, prices, images, stock availability and merchant ratings. 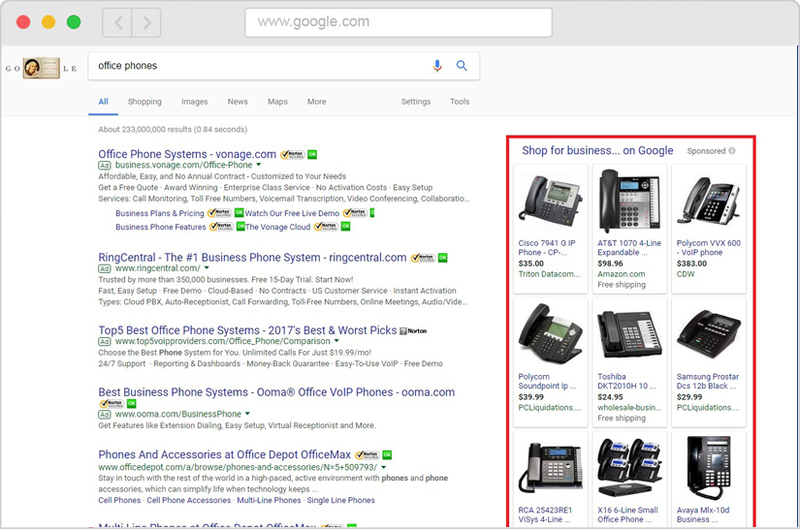 These ads whenever Google believes there’s a shopping match and are more robust than the standard Google product listing text ads Google Shopping results are normally shown in a special shopping box integrated into regular results, which also shows a “Sponsored” disclaimer. Google Shopping campaigns will promote your online and local inventory, boost traffic and sales on your ecommerce website or local retail store. Target Marketing Solutions can help create, format, and manage your Google Merchant Center and Google AdWords accounts, and link them together with Google Analytics for a complete retail marketing and reporting system. An incredible array of data points from Analytics can be used to target the right prospects while avoiding others less likely to buy your products. Your online marketing budget will be efficient, targeted, and sales-generating. You'll see what’s working and, through this detailed reporting system, we'll correct what’s not. Product Content Optimization: Elevate your Google product feed into high-quality content that rises to the top of results and drives sales. Provide us your product content, in any format, and we’ll format it to Google's strict feed requirements. Optimal Campaign Creation: Build campaigns, A/B test, sync new products automatically. Targeted Bidding to Maximize ROI: Bids are automated and optimized bids across devices and bulk bidding on product groups. Analysis: See exact data on the effectiveness of the spend. Keyword Phrases Used, CPC (cost-per-click), CTR (click-thru rate), sales conversions, and impressions. Call 1-888-239-0332 or email Target Marketing Solutions for a no-obligation Google Shopping consultation to help you reach the right customers - the ones already searching for what you sell.